Seattle curiosities and oddities. titillating rumors of kurt cobain and jimi hendrix alive in seattle. The Experiance Music Project will blow you away! Where even the rats are friendly! Seattle is fast becoming one of the strangest cities in the country, maybe the world. 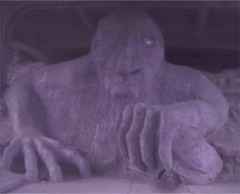 So come take a tour of the weird and wonderful back allies of the Emerald City. And oh yeah, remember all of the links are redhot around here! Make a little cash in your spare time! (without even trying) Click Here! Click on this red underlined link for a few friendly tips on how to navigate this page! Missed out in March? See a simulation here! It takes about 60 seconds to load. Be patient, it's well worth the wait! 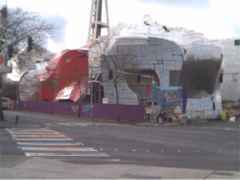 Kingdome Demolition web cams click here! See a real live mummy! A throwback to the days when wild cows roamed Seattle streets. Is Kurt Cobain hiding here? Amazon is in Seattle...not Brazil! This guy must know where he's at! Jimi knows. The architect doesn't. 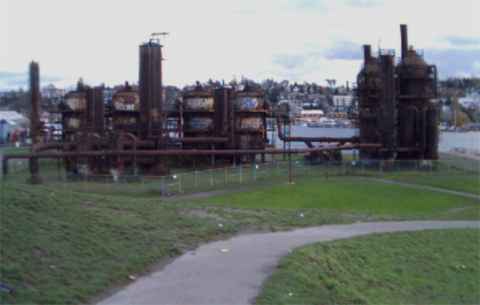 Take a polluted Seattle property and sell it to the city so they can build a park where children can play with heavy metals!